With this 11 Day Rajasthan Tour with Taj Mahal, you are gonna live some of the best moments of your lives when you will travel through the places and locations of India that are every well known for their history, culture, heritage and architecture. The happy and colorful hospitality will definitely add on. Visit to Jama Masjid in Delhi. Excursion tour to Fatehpur Sikri. Boat Ride at City Palace in Udaipur. As soon as you arrive at Delhi International Airport, meet our representative and proceed for hotel check in. Overnight stay at hotel in Delhi. This day of your trip will be utilized in exploring the best locations of Delhi and thus post breakfast proceed for the sightseeing tour of Delhi. Visit the magnificent red sand stone built Red Fort, The Asia’s Largest Mosque, Jama Masjid, the busiest market of Old Delhi, Chandni Chowk, and later proceed for the lunch. As you are done with your lunch, proceed to visit the Raj Ghat, the memorial of the father of the nation, followed by a visit to the Qutub Minar and Rashtrapati Bhawan. Dinner and overnight at hotel. With an early morning drive from Taj Expressway, we proceed to Agra and check in at hotel on arrival. Later proceed for a sightseeing tour of Agra with a visit to the Symbol of Love and one of the Seven Wonders of the World, the Taj Mahal. Later proceed to visit the magnificent Agra Fort, Tomb of Itmad-ud-Daula, also known to be the Baby Taj and the Mehtab Bagh. Overngiht stay at hotel. Today we drive to Jaipur, the pink city and the capital city of Rajasthan. 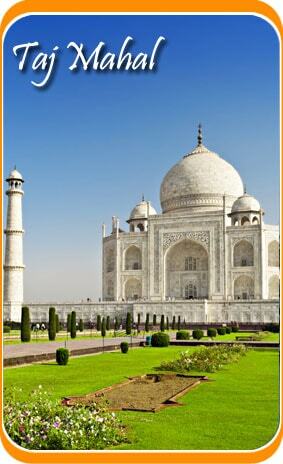 En route visit the Dream City of Mughal Emperor Akbar and continue the drive to Jaipur. Check in at hotel on arrival. Overnight stay at hotel in Jaipur. The day will start little early in the morning and we shall proceed for a sightseeing tour of the pink city post our breakfast. Visit to the Amber Fort followed by a visit to the Hawa Mahal which is also known as the Palace of Winds, Jantar Mantar Observatory and City Palace. Later return to hotel for dinner and overnight stay. Post an early morning breakfast, drive to Jodhpur, the blue city. As we reach Jodhpur, check in at hotel and enjoy the day at leisure. Dinner and overnight at hotel. Jodhpur is known to be the Blue city because of its blue colored walls and buildings. Starting the day with a lavish breakfast, we proceed for a sightseeing tour of Jodhpur that includes a visit to the famous Mehrangarh Fort and later we would proceed to explore the Jaswant Thada and alter we would take an excursion tour to the Mandore Gardens and explore its temples. Later return to hotel for dinner and overnight stay. The day will start with a health breakfast and later we would proceed for an excursion tour to Bishnoi Village. 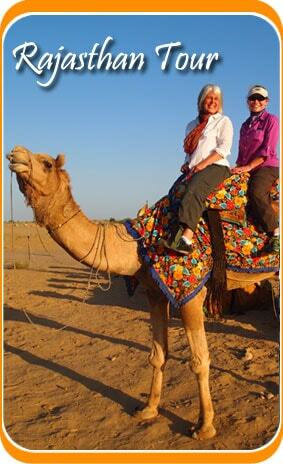 Experience the typical Rajasthani Village culture and visit the Guda Bishnoi Lake. Later in the evening drive to Udaipur and check in at hotel for overnight stay. With a lavish breakfast the day will start and later we would proceed for the sightseeing tour of the city of Lakes. Visit the City Palace and Museum and Jagdish Temple. Followed by a visit to the Shalieon ki Bari and enjoy the evening with a boat ride at City Palace. Return to hotel for dinner and overnight stay. Post your breakfast proceed to the Udaipur Airport and board the flight for Delhi. Check in at hotel on arrival and enjoy the day leisure. Overnight at hotel. Have your breakfast and proceed to airport to board the flight for your onward destination and your 11 Days Rajasthan with Taj Mahal Tour ends here.